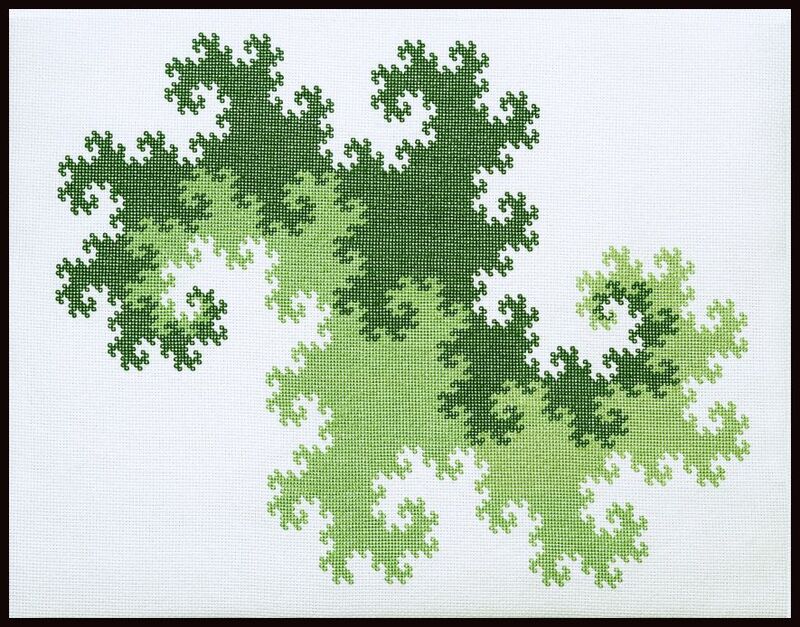 Heighway dragon back-stitch design (pdf) created with IFS Construction Kit. This design consists of one copy of the Heighway dragon (shown in dark green above). After completing the stitching for this copy, rotate the page 180° to stitch the second copy of the Heighway dragon (shown in light green). Here is the design with both Heighway dragons for reference.